Yet another leak of a touchscreen-packing BlackBerry. This time it’s the BlackBerry Curve Touch – with rumored T-Mobile branding and a possible appearance at the BlackBerry World next month. 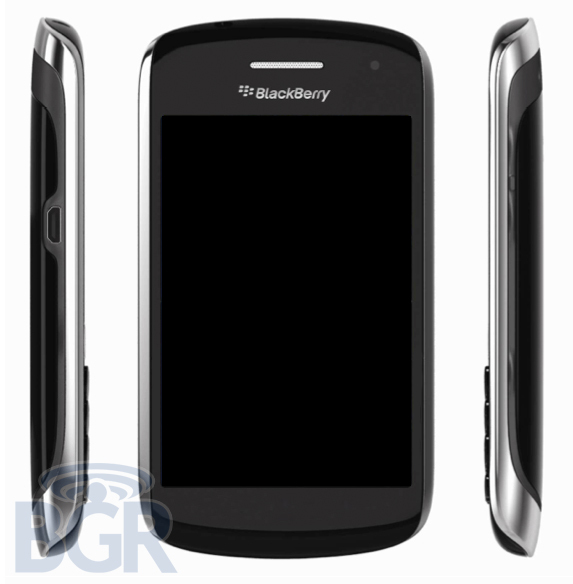 Unlike the other Curve models, this one drops the keyboard and relies on the touchscreen exclusively.So much so that the new mockups of the BlackBerry Curve Touch appear to have dropped even the trackpad. We wouldn’t put too much stock in those images though, they seem kind of wonky (in the side views, what are those bumpy things on the bottom half of where the touchscreen should be?). Still, a more certain rumor (as far as rumors can be certain) is that the BlackBerry Curve Touch will be announced at BlackBerry World next month with a June or July launch. T-Mobile will reportedly be carrying the phone. The Curve Touch is the GSM version of the BlackBerry Malibu, both of which should have an 800MHz processor, 512MB RAM, 3.25” HVGA screen and 5MP camera with HD video recording. BlackBerry World will take place 3-5 May and if these rumors pan out, we’ll see the BlackBerry Curve Touch go official then. i really like it.. im gonna be the first one too buy..